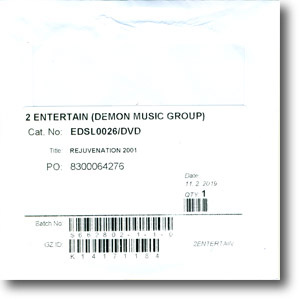 Blank label DVD in plain white slee with 2 Entertain identification sticker. Only one test-pressing DVD was produced (as shown by the Quantity: 1 on the printed sticker). It included the same content as the final commerically produced DVD.